Wondering how to set your visuals apart from the millions of images being shared online? If so, you’re going to need some of the best graphics tools to help you out. Although we could only use computers for graphics work back in the days, thanks to the technology advancement, now we have tons of apps for our Android devices as well. However, as the Play Store is exploding with countless apps, singling out the best ones sure has become a daunting task. Plus, testing them all out by yourself is a perfect recipe for a ton of time wasted. Adobe Illustrator Draw does a great job of creating freeform illustrations swearing by vector drawing tools. This app comprises a neat and simple interface that’s extremely useful for new designers, however, robust enough for serving benefits to veteran designers as well. Adobe Illustrator Draw lets you browse others’ works, follow certain artists and ‘appreciate’ their work (equivalent of ‘like’ on Facebook). It also allows you to choose from many brushes, edit the opacity and colors, and draw things on top of a photo. Illustrator Draw offers you all these features and more, without alighting your pocket at all. Overall, if you’re a newcomer looking for an app to dissolve your thirst for graphics arts, this should be your way to go. You can transform your Android device into a digital art studio with the help of Artrage. Artrage offers you an array of familiar tools to showcase your creativity. 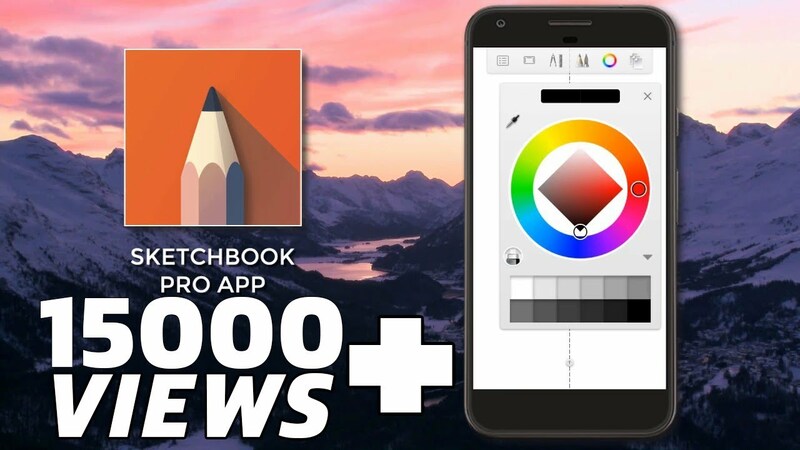 This app features a canvas for thick oils and delicate water-colors, a sketchpad equipped with pencils, a sheet of paper, a bunch of crayons and more. This app comprises different shades of pencils, helping you weave up sketches that look like depicted with a pencil on a paper. Aside from the realistic sketches, this app also provides you room for experimenting with colors and textures. Artrage also enables you to share the drawings online directly from the app. All in all, if you have the required skills, Artrage alone can help you give birth to masterpieces. However, some of the extremely useful tools inside this app requires you to pay up, which may be a turndown for the freebie seekers. Nonetheless, all these facts power Artflow to be one of the best graphic apps around. Sketchbook is a professional tool for doing digital sketches. Although it supports iOS & windows too, we are only going to go over the Android version today. Sketchbook supports a 100 Megapixel canvas, limitless layers, and a big undo/redo stack. This app is focused on keeping things as clean as possible, without sacrificing the usability. If you came from the desktop version, you’ll have no problem with the Android one as well. This app comprises a feature called scan sketch, where you use your device’s camera to digitalize the drawing. And if dealing with the drawing alone is what you want, the app can even make the surface transparent. This app also lets you pause your work to complete it later on. Although you can install this app for free, the free edition limits you to its functionalities. However, the solace is that they didn’t associate it with any time limits. This is an amalgamation of the two free resources – GIMP (an image editing/drawing tool) and Inkscape (a vector focused tool)- making it one of the most powerful FREE graphic apps. This app offers you layers, GIMP/Inkscape interfaces and the pressure sensitivity features. However, there’s this drawback of not having the comfort while using screens smaller than 6 inches. Plus, the interface and performance of this app hasn’t been upgraded much, declining the user experience. Adobe Photoshop Mix is a nicely designed tool capable of creating 2-layer collages. On top of that, you can integrate this tools flawslessly with the other Creative Cloud tools. If you’re looking for a tool to cut out images and jumble them together, there’s nothing in giving this app a shot. However, the components of the interface, such as, the undo and redo, can piss you off. 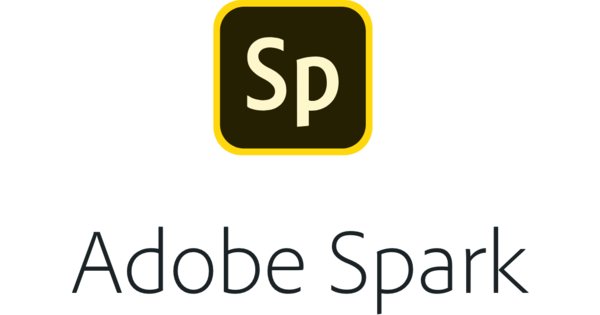 Further, Adobe Photoshop Mixis very limited at the features aspect. And the premium features of this tool aren’t really worth paying. Desygner is an easy-to-use image editor geared towards artists, bloggers, and marketers. The main usage of this tool includes, creating web ads, blog images, posters, header images and all sorts of visuals. This app comes with templates and can be easily used to edit free-to-use images from Flickr and Google. Asides from supporting multi layers , Desygner offers you countless options, such as: moving, resizing, rotating, flipping, duplicating, changing colors. Further, you can also create a pdf from your work and create personal templates, although, there are also paid templates. This vector-based illustration program welcomes you with a how-to-use tutorial. Considering that you’re familiar with softwares like Photoshop, you should find this program pretty straightforward. This app allows you to draw with your fingers and stylus, or, you can use geometrical shapes as well. Infinte Design also lets you choose your colors and brushstrokes. Although the free version seems pretty much complete, a little investigation revealed that paying allows you to save the file in many more formats. And although this tablet works swell on big-screen tablets, it is a mess in terms of small screens. Plus, the app is not very reliable, providing that lots of people reported of the app crashing and losing their files. Snappa is another all-purpose tool making graphics designing simple enough for the average joe. It allows you to create images swearing by set dimensions or templates. Once you’re done creating the image, you can start editing and add the effects. Snappa comprises 200+ fonts alongside 3,000+ vectors and shapes, helping you crank out tiptop designs. Plus, you can schedule your images to be posted on social media. The free version allows you 5 downloads per month, while the limitless/paid version costs $10/month. Adobe packed this web-based and easy to use freebie with their social-graphics tools for nonprofessionals. If you’re looking for visually appealing content, then this app is your way to go. However, for you to run this app, there’s no way around a large screen. This app allows you to make single-image graphics alongside text overlays. You can easily change the colors, style, page size and layouts manually or using presets. Plus, the automation feature makes this app way more useful. Here, you can jump from styles, pallettes and themes, filters, layers. Although this app contains ‘Spark Video’ feature, this app doesn’t allow you to edit or intake videos. Instead, you can take a bunch of images and throw in narration and a music track and convert it to a video file. All in all, if you’re looking for a simple yet attractive designing app, this is your go-to. Using Canva requires you to create an account or link your Facebook account. Once logged in, there’ll be several templates (such as, sports, oceans or flowers), add in canned images, edit text and the import option. Tapping anything lets you change the color and text of an object or access limited editing choices. You can find a ton of images for free. You can also buy premium packs if that’s what you need. However, the free stuff is good enough for the average user. Canva lets you create graphics for Facebook posts, posters, podcast icons, business cards and lots more. You can also explore images, such as, bar graphs, bathroom signs, and alike – designs that you may require for more practical designs. Although Canva did a great job of bringing the phone version, it’s not the most robust sort of app the experts need. It is more suitable for smaller jobs like a new podcast graphics or social media campaign. Textgram contains templates that are very easy to start out with. Plus, the backgrounds contain some beautiful photos that allow you to adjust a big array of options — choose from a number of fonts, resize and move the text, throw in stickers, and lots more. Further, you can adjust the color and opacity for every element. Don’t have any idea what you’re looking for? Textgram has a ‘store’ to download extra fonts, stickers and backgrounds for you. The upside is that everything inside the store is free, however, the downside is, the content in the store are few and far between. Banner ads appear on the home and export screen, which you can rid by paying $1.99. Textgram makes it easy to share the photos on social medias once you’re done working. You can also save your work as a design if you post similar things regularly. Comparing by the looks, Textgram has greater interface than many other apps. The navigation on it is simple and producing a nice text-laden photo is a couple of minutes away. Aside from the glace of Textgram, PixelLab has built-in quotes and the ability of masking images or texts (usually hiding a part of the text or image). You can edit your image in various ways, stickers, strokes, relfections, 3D effects, diagonal lines and more. This almost ad-free app doesn’t even have the option of removing the ads (not even by paying). PixelLab offers some limited backgrounds, however, they are simpler than the Textgram ones. Plus, PixelLab does a great job of exporting and publishing on social media. For some reason, if Textgram doesn’t suit you, PixalLab would be your next pick. Phonto contains a banner ad hovering on your work the whole time. Plus, it doesn’t do more than placing text on your photo. No effects, stickers or frames. If skeleton is what you’re looking for, this is it. There’s a cool array of fonts and some simple graphics that can be used as templates. However, unlocking the graphics will cost you $1.35. Nonetheless, using your own photo is free. Aside from the ability of creating their own new brushes and changing the settings of it, Infinite Painter offers an all around superb painting experience, with over 80+ brushes. Brushes that are designed to interact realistically with the advanced paper textures, allowing artists create digital paintings which closely resemble the typical equivalent, without having to cart around massive canvases, brushes and paint wherever they go. This app lets you create as many layers as you want, with Photoshop blend modes, selection masks, perspective guides and clipping masks. Although you can download it for free, a number of features can only be unlocked by paying. There you are, 15 best android apps for graphic designers. Have you tried out any of the above? If so, how was your experience? Or did I miss any top-notch app you have on mind? If so, let me know in the comments below and I’d get back to you in a flash. Shoab is a freelance writer/blogger helping businesses grow with red-hot content. You can visit his site PowerHouseBlogger for actionable business tips. And if you’re looking for content that’ll sweep your audience off their feet, you can hit him up on Facebook or Twitter. 7 Live Cricket Streaming Apps that are Loved by the Cricket Lovers!